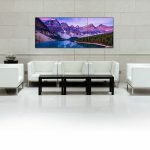 In this free webinar, learn about five critical forks in the road when it comes to planning a video wall that’s a perfect fit for the application. AVI-SPL earns SAMA Excellence awards for outstanding young SAM program of the year and best process to quantify and monetize customer value solutions. 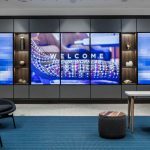 Shure ‘talks the talk’ from its Customer Experience Center and new office space. Installation done by AVI-SPL, including MSE Audio’s Dante-enabled speakers throughout the facility. 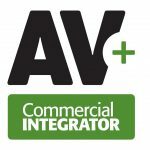 AVI-SPL acquisition of Interactive Solutions sees latter company’s founder now working under his son (but it’s all good). Why it happened and more on AV+. 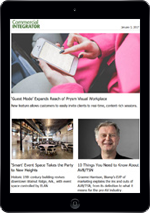 In the latest in a stream of strategic acquisitions, AVI-SPL has acquired Memphis, Tenn.-based Interactive Solutions, bolstering its presence and offerings in key markets. The largest AV integrator, AVI-SPL, has a pattern of consistently dramatic growth. 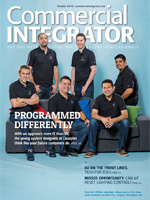 Here’s why they’ve once again made our Fast-Growing Firms list. 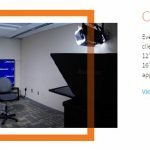 VideoLink ReadyCam simplifies on-air interviews for university of Houston National TV Program by letting the studio come to the interviewees. 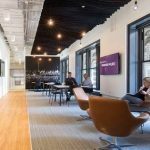 Atmosphere Commercial Interiors chose AVI-SPL to turn their HQ into both a collaboration tech-infused workspace and a showroom for customers. On ep. 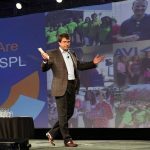 18 of pro AV podcast, AV+, we hear from AVI-SPL CEO John Zettel, who was recently named one of the 100 Glassdoor Top CEOs. Backed by lots of positive reviews by AVI-SPL coworkers, John Zettel is part of Glassdoor Top CEOs list that includes Mark Zuckerberg, Elon Musk & Tim Cook.